The Indian rupee tanked by 17 paise to trade at 68.85 per US dollar in early trade on Friday, reported news agency Press Trust of India (PTI). The Indian currency slipped today due to appreciation of the American currency overseas. According to forex dealers, a weak trend at Dalal Street also weighed on sentiment at the Interbank Foreign Exchange market. The increased demand for the US currency from importers and its gains against other currencies overseas put pressure on the Indian rupee today, explained dealers. 1. 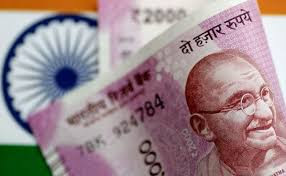 On Thursday, the Indian rupee had ended lower by 5 paise to 68.68 against the US dollar on renewed buying interest for the greenback even as domestic equities remained in a triumphant mode. 2. The domestic stock markets started the last day of the week on Friday on a negative note. Retreating from its lifetime high, the S&P BSE Sensex dropped 98.32 points in opening trade. 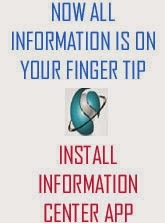 Nifty50 index also slipped 7.35 points to trade at 11,463.35 in early trade. 3. According to a Reuters poll, country's battered rupee will trade in a tight range in the coming year but not far from its historic low, hampered by higher oil prices and as trade tensions hurt emerging markets, a Reuters poll found. 4. The Indian currency has lost over 7 per cent this year, with worries over the US-China trade conflict pushing it to a new record low of 69.122 against the dollar in July, making it the worst performing Asian currency. 5. The widening current account deficit, due to higher global crude oil prices and steady capital outflows, has weighed on the rupee. Oil prices have rallied for much of 2018 on tightening market conditions due to record demand and supply cuts led by the Middle East producers. 6. While India remains the fastest growing major economy, a weaker rupee, stubbornly high inflation, elevated oil prices and global trade tensions pose the biggest downside risks to the economy.